Happy birthday to us. We’re celebrating one year since opening our doors at the new Nova development in Victoria. To say a big thank you for your continued support over the past 12 months, we’ll be giving away 100 free Burgerdicts to walk-in guests over the course of a week. Starting on Monday 12 March, doors will open at 8am and for those lucky enough to bag a seat, the first 20 Burgerdicts of the day (and every day until Friday), will be on us. 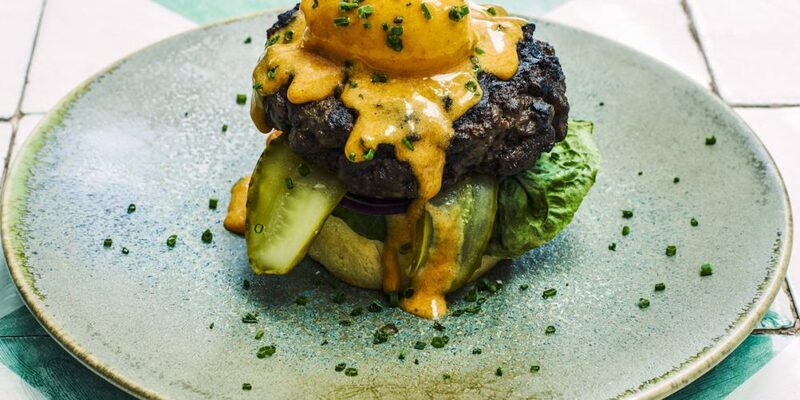 The Burgerdict: dry-aged beef patty is served atop a freshly baked muffin, finished with a poached egg and covered in glossy hollandaise sauce. This brunch busting dish, unique to Rail House Café and sister restaurant Riding House Café, has become a cult favourite and tastes every bit as good as it sounds.